The Welch Allyn Digital MacroView Otoscope is a simple, affordable tool that lets you see, explain, and save digital images of the ear. 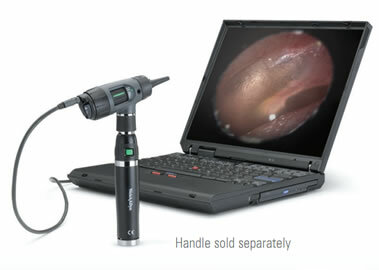 Offering you clear live and still images of the ear canal and tympanic membrane, the Digital MacroView Otoscope is a valuable tool in support of the treatment and management of your patients’ ears. Easy to learn and use, the Digital MacroView is a plug and play system requiring no additional purchase of software.